Returning to Singapore almost 1 year after their 1st fan meeting in September last year, Wanna One displayed with perfection why they are currently the number 1 leading K-Pop boy band in the world right now. 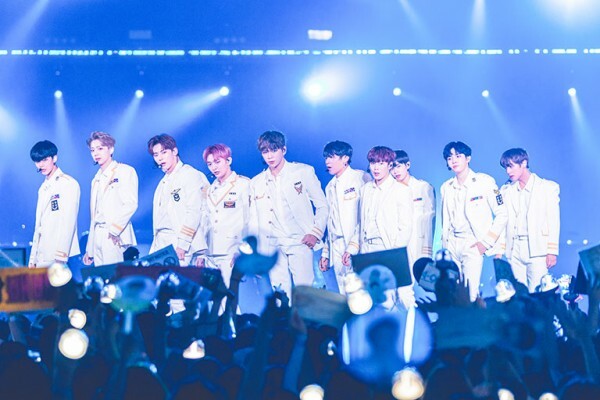 Bringing Wanna One World Tour “ONE: THE WORLD” to our shores, it was a night like no other as they performed to a sellout crowd of 10,000 fans at the Singapore Indoor Stadium which was filled to the brim from the mosh pits to the terraces and all the way up to the balconies. Following up with their opening segment was a series of solo dance performances, duets and trios among the members that were exclusive displays only to the current Wanna One World Tour before they came back on stage as 11 to perform 'Boomerang', one of their latest singles. Introduction and greetings began for the night in which the Wanna One members express their appreciation and how nice it was to meet their Singaporean Wannables again. They teased the fans with promises of more enjoyable stages and thanked them for being so energetic. The boy group promises to return once again to Singapore shores to meet with their fans. Professing their love and affection for Wannables, the members each spoke a few parting words before wrapping up the night. 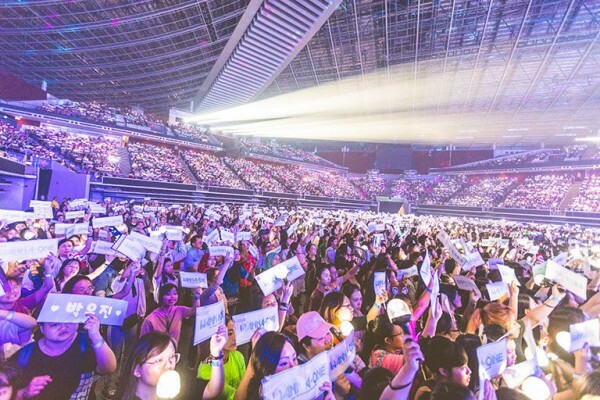 Unlike various other stops where their fanmeetings and concerts had to be halted due to safety reasons, the concert in Singapore was smooth-sailing. There were however alleged complaints from fans regarding the rough mannerisms of the security during the concert.